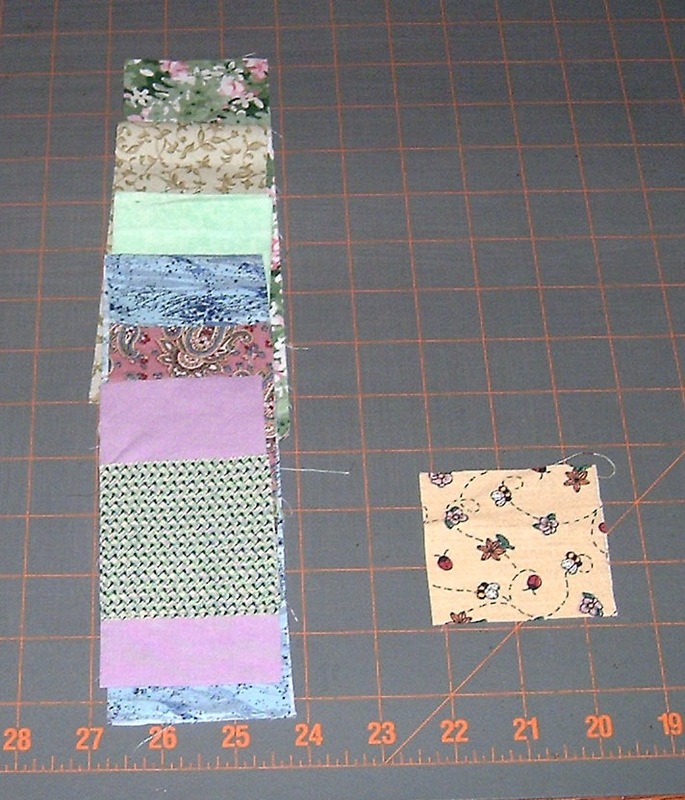 Last nite I had my fabric cut into strips and squares just waiting for me to get to it today 🙂 I decided to strip piece in order to make things easier and quicker for me .. worked out pretty good, but I kept reversing the block .. but it all worked out in the end. .. 26 … 27 … 28 … 29 … aw crap .. I’m 3 short – pfft. Ah well ..scrounge, hunt, scrounge for long enough bits of this and that to make make them up .. I wanted them to be somewhat close in colour so it wasn’t to scattered all over the map .. yes as Carmen says, I’ve redefined “controlled scrappy” one of these days I’ll do a true brown bag scrappy quilt .. promise! Well i finally found enough of 2 different colour schemes to get the final 3 blocks done and voila! Part 3 is fini! Holly can you see them??? I’m done in .. been a day of popping up and down like a jack in the box, as well as doing some grocery shopping, daddy drop /drive in, dinner, basketball on tv .. blah blah blah .. you get the picture .. so tomorrow, I start on Part 4 ..
Ah, Grace you are so funny. I am not laughing at you, but with you. 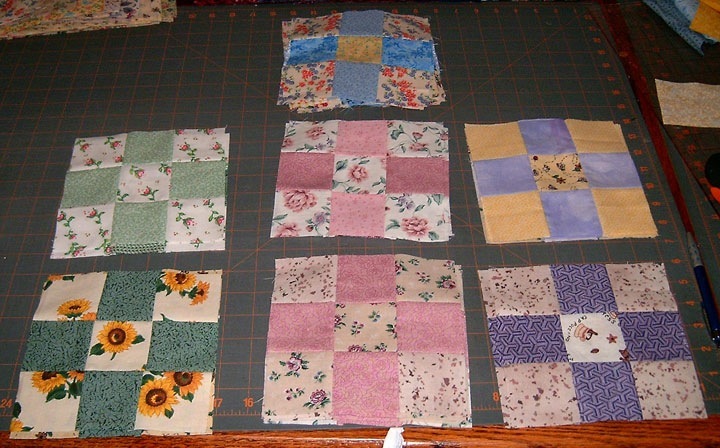 I had some left over from my Road to Dixie Quilt so I have made 9 patches out them and will figure out what to do with them. I will post the 9 patches on my blog later today. So we both have the same problem. I just know you will come up with something interesting.